Thursday is going to be a big day for historians and conspiracy buffs fascinated with the Kennedy Assassination. Barring unforeseen circumstances, on Thursday, the U.S. government (via the National Archives) will release thousands of pages of documents relating to the assassination of President John F. Kennedy. President Trump has made it clear he will not stand in the way of the highly-anticipated, massive document release. So, what’s inside the trove? Could we learn about a second shooter? Was there mob collusion with Oswald or his killer, Jack Ruby? However, these files do contain some fascinating items which will, no doubt, catch the attention of the legions of Kennedy conspiracy fans. “I don’t think there’s going to be a ‘smoking gun’ but, we’re all waiting to see what this has to say,” Posner told Opelka. One specific file of interest to the author is the never-before-released 1975 secret testimony of James Jesus Angleton to a Senate committee. Angleton was chief of CIA Counterintelligence from 1954 to 1975. Posner expects Angleton’s testimony to be more focused on how the Agency tried to kill Castro and why they were holding back information from the Warren Commission. Of additional interest, the details on Lee Harvey Oswald’s trip to Mexico just a month and a half before he killed Kennedy. 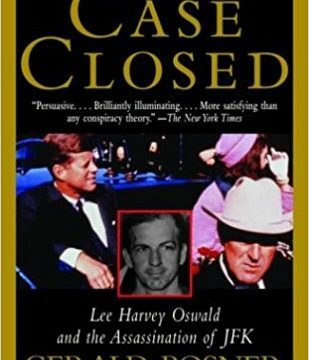 Oswald was being monitored by the CIA at the time. He reportedly tried to get into the Cuban and Soviet Missions…both rejected him. Posner speculates we may learn what the CIA knew about Oswald during this trip and what was withheld from the Warren Commission. Listen to Mike’s interview with Posner. Previous Post:Opinion: Can we please have General Kelly as President?